Best Double Step Underbone For Yamaha Jupiter Mx, Spark, Exciter and 135Lc - There are two type of underbone on motorcycle. First, for daily use only and second for race use only. 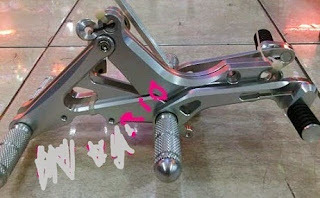 Footstep underbone usually used for motorcycle on race. 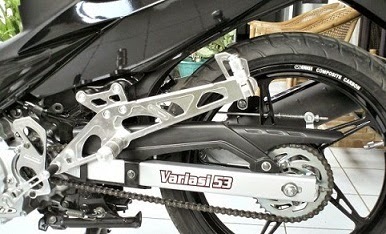 But on race, a racer usually used underbone made from duralium material. Duralium material used because it’s more hard, strong and it can’t broken with quickly. And footstep underbone for daily use only usually made from aluminium material. It’s more soft and it’s has good looking models than underbone made from duralium. 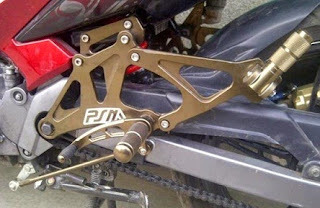 I will review the best double step underbone for yamaha jupiter mx, spark, exciter dan 133lc. The best double underbone 1st is from Racing boy. Racing boy is a racing factory from malaysia. They usually made best accesories for motorcycle or moped on asia. This underbone is very cool and made from alumunium. There are many color that you can choose. Just like Racing Boy, Nui Racing has double step underbone too. Nui Racing underbone has unique models and it’s make a different than racing brand other. 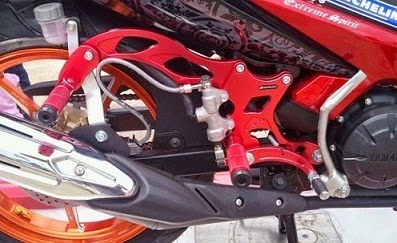 Double step underbone Nui Racing is cheaper than Racing boy. It’s make underbone Nui more easy to find than other. And the last, the best double step underbone is coming from yamaha. This underbone is original from yamaha accesories jupiter mx, spark, exciter or 135lc. This undebone is easy to find on your country. And if you want to use different brand but same models you can use double step underbone from PSM brand. It’s cheaper than underbone yamaha original accesories. 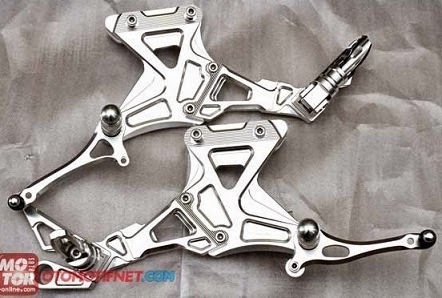 0 Response to "Best Double Step Underbone For Yamaha Jupiter Mx, Spark, Exciter and 135Lc"